I made a new batch of ferments about 48 hours ago. Hubble, bubble, there they go! 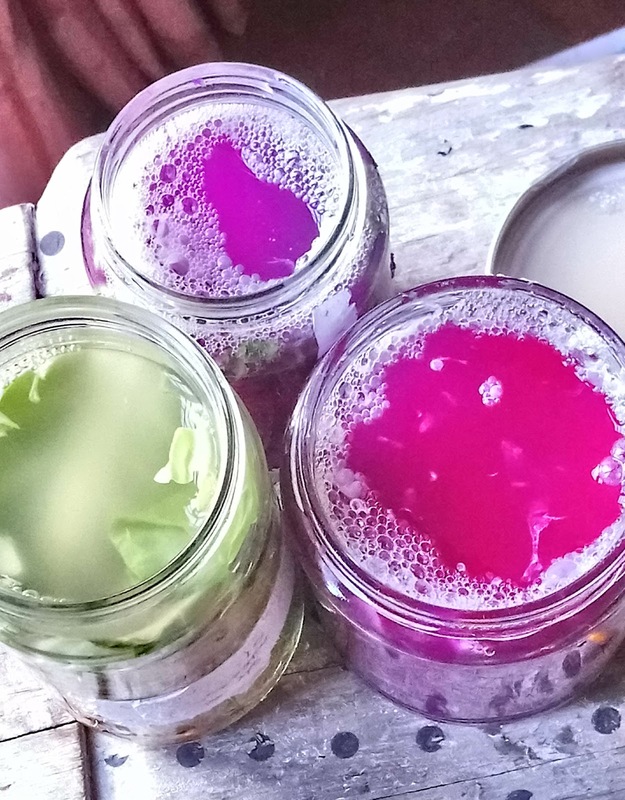 The red cabbage is particularly active, even though the red jars have been kept in the same conditions as my "Suffolk kimchi" on the left. These are for a private Fermentation class. 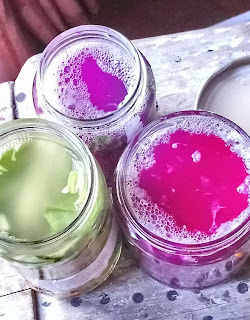 I'll be making more for my Fermentation Workshop on 6th April. It's only £45 for the morning and you get to take your own ferment home as well as tasting lots that I'll be creating between now and the workshop. Pop me an email if you're interested in joining us for a fun morning of tasting and chopping together!